For so long, we’ve been conditioned to believe in order to be the best in one area, another area has to suffer. You can’t be both stylish and strong,or durable and elegant. Consider tungsten rings the exception to the rule. Now you can have the best of both worlds! Being both the most durable and scientifically advanced rings on the planet is no easy feat. But doing it with style, now that’s the real trick. Many alternative metal rings offer slight benefits here and there over their precious metal counterparts, but only tungsten rings and tungsten wedding bands can boast being the ultimate in both form and function. 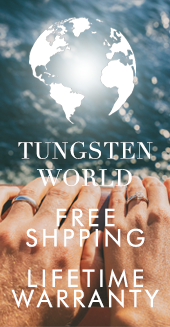 Tungsten Forever™ has been consistently churning out the highest quality tungsten rings in the industry while not sacrificing on designer-quality style. Starting out in a very fine powder form of tungsten, carbon and trace elements, the transformation from base elements to tungsten carbide, and subsequently tungsten rings, is marvel of scientific innovation. 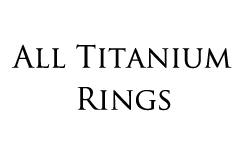 From their powder state, the elements are then compressed under extreme pressure and heats of up to 2,400 degrees. The result of this process is a metal with a hardness superior to all materials aside from diamonds, which are the hardest material in the known universe. 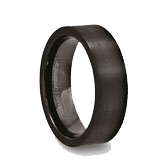 However, the process is only partially complete, as the result is a ring blank of raw tungsten carbide. 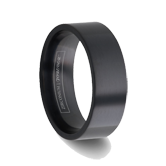 From there, the tungsten carbide ring blank is hand finished and polished using diamond tipped tools. Artisans manipulate the tungsten into the beveled, brushed, or faceted 4mm, 6mm, 8mm and 10mm wide styles found on TungstenWorld.com. 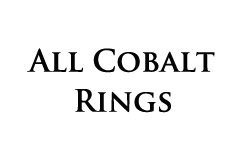 These precise processes are done with the highest attention to detail and quality that has long been associated with Tungsten Forever™ and Tungsten World, with the resulting product being a women’s or men’s tungsten ring worthy of even the most discerning individual. 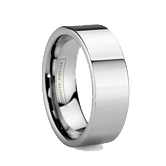 The extensive collection of tungsten rings and tungsten jewelry found throughout the pages of TungstenWorld.com are not only made from the highest quality tungsten carbide, giving them a resilient nature almost impervious to all scratching, but also some of the most modern and up-to-date styles found anywhere in the jewelry and tungsten carbide industry. 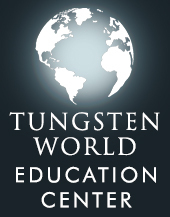 And all of this is further backed by Tungsten World’s extensive policies, guarantees and exception customer service. 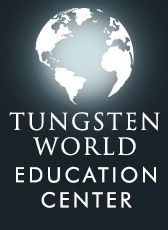 At Tungsten World you’ll always get the best of both worlds.